It happened just as Apple was giving us one thing many of us couldn’t imagine wanting (a watch), and one thing we definitely didn’t ask for (“buying” U2’s new record for us). Apple quietly killed the iPod Classic. That is, the iPod touch lives on as an iOS handheld minus a cellular radio, and there’s an app on iOS. But there is no standalone device, with the as-expected discontinuation of iPod Classic. Correction: there is one. The US$49, 2GB iPod shuffle is still available. But it’s a pale shadow of the iPod line. This is a big deal. It means that the iconic object that transformed music is beginning to look more like a blip in music history – the leading edge of a change, but only part of that change. 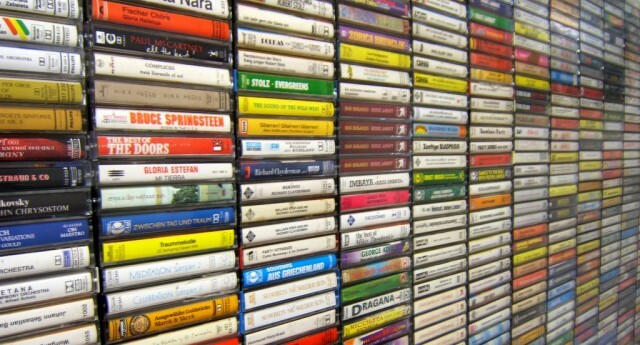 The iPod brought digital music and big collections, it’s true. But it’s being supplanted by something that, while it still involves digital files and pocket-friendly players on the go, is a different animal. It’s music you stream rather than own. It’s listening on a range of multi-functional devices, rather than syncing a single dedicated player to a computer. It’s music as an app, or rather, music as apps. Think Brian Eno-constructed generative music, RjDj and interactive sounds, NINJAMM remixing Ninja Tune, apps you use at concerts, strange sonic toys from Björk, and more. Commercially successful or not, that doesn’t matter – you can’t re-establish boundaries once they’re gone. Once you have an operating system, music is software, not media. And once you have the Internet, software is service as well as app. I will miss the iPod as dedicated device, too; I’m not immune to nostalgia. But then the iPod can be grouped at the end of a movement rather than the beginning – the age of recorded media and media players, each as discrete objects. Once, it was the iPod itself that was heretical. The nostalgic moaning here was once levied against the iPod and MP3, as it replaced CDs, and CDs, as they replaced tapes, and tapes, as they replaced records. We mourned the feeling of needles and records, of big jackets, of dubbed mix tapes, of analog sound, of lossless digital sound, low fidelity, high fidelity – various characteristics, often missing from one format even as they’re found on another. Maybe it’s time to cut out all the mourning of these particular embodiments of music and start to ask ourselves, what is it about music that we really like? What can it be, once it’s removed from humans in a room making it? 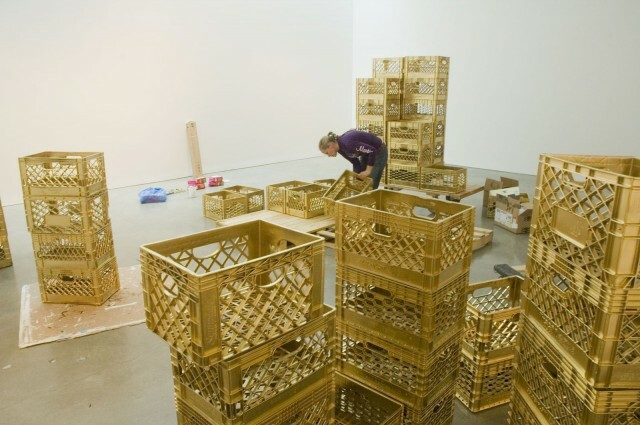 All That Is Solid Gold Melts Into Air from DoAn Forest on Vimeo. Playlists and selection – that bit that “defines” us or not. Dedicated playback objects (versus multifunctional ones), and whether they sit on our desk or travel with us. Streams versus static media (be it analog or digital, really). And then there’s the matter of what all this stuff means. I suppose what I find odd about the press beyond the realm of musicians is that they’re so focused on connections to music that leave out the music itself. I understand why the music industry has this hangup: initially, they were worried that their power would be undercut by the loss of those bits of remade petroleum and the distribution apparatus required to get them into your ears. Now, I think, the industry has realized that overabundance is itself a new opportunity to consolidate power and control what we hear and who gets paid, but that’s a matter for another story. For now, I would ask instead: was it really the earbuds, the waterproof case, the jog wheel that you remember? Or, if you call up the chorus of the song you once fell in love to on Spotify or even a crappy YouTube stream, wouldn’t you have the same lump in your throat? Music is invisible and ephemeral. It can make us cry in our quiet moments, piped invisibly into our ears, because that is the nature of sound. Of course, we want to collect and own because we are creatures of a consumer culture that does such things, or because some ancient, primeval hoarding instinct drives us, or because our minds like the association of memory with objects. And record jackets are magical because they make those invisible things visible, and they create other worlds, acid trip journeys into outer space and lineups of Beatles in marching outfits. It’s clear that we’re still fumbling our way to solutions here. Records, in fact, have lasting appeal as objects despite (or because of) their ungainly size. Download stores aren’t yet out of business, and indeed expand with the rising popularity of DJing. There are two fundamental questions raised by the loss of the iPod, then. Collections. 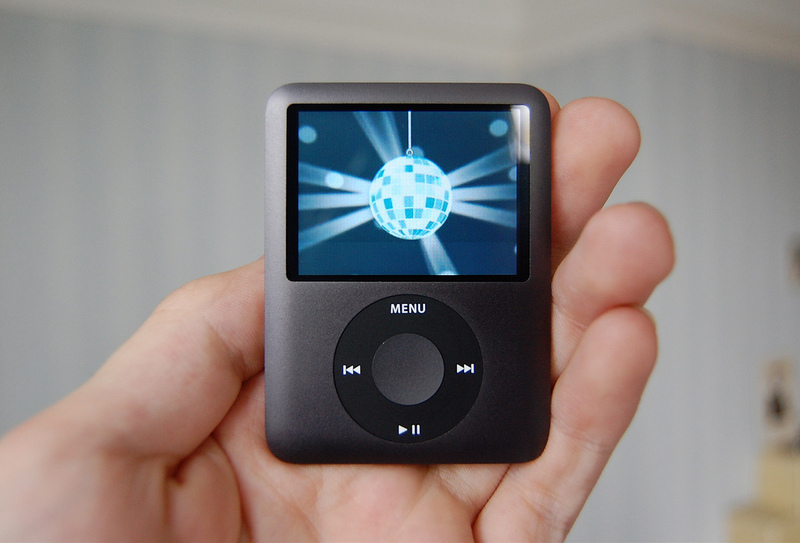 The iPod was special in that it associated a particular collection of music with an object that stored it. (The “pod” is the clue.) As the film above suggests, it’s the materiality of the record crate without the weight and space. It’s obviously not dead yet, either, given that people lined up to spend hundreds of dollars on extra storage for the iPhone introduced this week. The Wired story gets at this collection quality, but does little to suggest the optimal way this would work. It seems that with instant-on streaming, collections become more important, not less. Proper collections were much-requested on Spotify, for instance; the absence there seems more to do with Spotify’s inability to implement the feature than a lack of demand. Music does still define us; the issue is that we have difficulty expressing that definition in the blurred space of the cloud. The iPod Classic was beautiful in that it was so freaking huge; it could contain everything you love. If anything, online streaming services have something similar. The challenge now is to allow users to draw that line between “me” and “everything else.” To my mind, nothing has done this quite as perfectly as a cassette mix tape, though that’s obviously an anachronism. Streams are soulless and impersonal. But that doesn’t mean it will make people the same way. On the contrary: those service won’t survive unless they can find a way to get back to what the user is passionate about. Oh, yeah, and about the players. Apple showed their own lack of understanding of the problem with this week’s U2 announcement. It’s the low point of digital music: a record you bought without buying it. At least when I play a stream, I meant to play a stream. This is like a car radio stuck on a single station, permanently switched on. While writing this, actually, I called up an old U2 track I actually like, one connected to memory. Dedicated players. It’s clear what the average music listener wants; they want to listen to music. They want that music wherever they are, whether in a car or on a jog or in the shower. The iPod was never a very good serious dedicated player. I miss the amount of storage on Classic, but I think the Internet connectivity of the iPhone and iPod touch are perfectly lovely. If you really want a dedicated player, get an iPod touch and delete the extra apps. But then, if you want a dedicated player, you might want something with greater audio fidelity. The thing is, an iPod just isn’t that different from anything else. That’s where players like the FiiO get interesting. The iPod getting out of the way leaves extra space for dedicated niche players. The challenge for these devices is to demonstrate that higher fidelity is something you can hear. A funny thing has happened in Berlin – the lovers of obsessive-compulsive details of bass drums I know have started to get addicted to just this sort of listening. I’d want some double blind testing myself on different kinds of music to convince me, but there’s some potential there. And I have no doubt that we can represent sound with something better than 2-channel, conventional stereo at compressed lossy 16-bit 44.1kHz. Our ears and brain have a lot more potential than that. Update: I feel obligated to mention the iPod touch. I think it’s terrific hardware at US$299 for 64GB, if you don’t have pockets deep enough for these audiophile-focused players. And, frankly, I think an iOS device is a better way to listen to a mix of, say, podcasts, SoundCloud, and music. There’s no reason you couldn’t dedicate this to music playback, which would answer complaints in comments about battery life and distractions. And it sounds pretty darn good when paired with nice headphones (consider an amp if you want to get really picky); you can even fit a fair bit of lossless compressed music in 64 gigs – compare a record crate’s storage, as above. If that still doesn’t satisfy you, you can consider one of the higher-end models from the likes of Sony now entering the market. So, again, there seems to be more hair pulling on this issue than necessary. Let’s not write a sad song for the iPod. The iPhone is about as subversive as a bag of potato chips, Wired? Come on. The iPod was about as subversive as a bag of sour cream potato chips. This is subversive. D motherf***, D. Anyway, now Bed-Stuy I’m sure was one of the neighborhoods breaking the iPhone 6 Plus preorder. So yeah, times change. Let’s instead look at the sad state of collection and playback. I think ultimately it isn’t the vinyl we miss, or the iPods. I think we miss the moment when a love song meant something different, some deeper nostalgias that drive those journalists. To be human is to sometimes love and miss the past, far beyond any particular bits of plastic. Musicians have always spoken to those feelings; we earn our living on it. Now that we’re not strumming around a campfire and singing until people cry, some middle men have to work out how to let listeners find the right song. My guess is, the day will come when people look back at the spreadsheets of tracks to stream and mostly no one will miss them. Yes, U2 is the soundtrack to this whole conundrum in which the record industry finds itself. Not a requiem for the iPod. Photo credits, from top: an iPod nano, (CC-BY-SA) Andrew*, a wall of tapes (CC-BY) cassettes on Flickr), media artist Marisa Olson building a monument to DJ culture at Bard College CC-BY-SA) Michael Mandiberg.